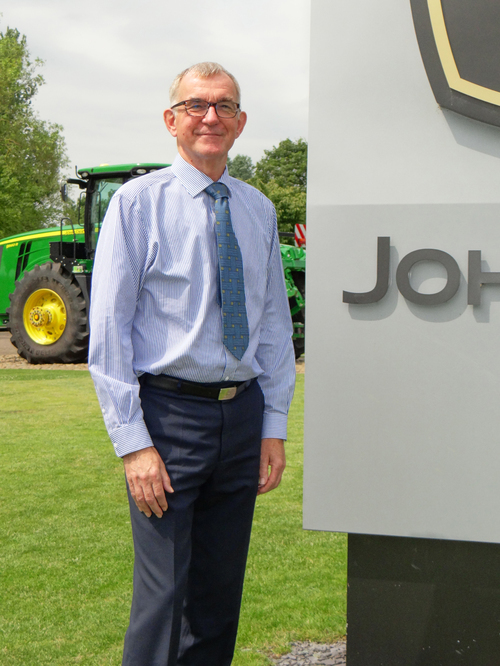 Antony Scott has been appointed managing director for John Deere Limited in the UK and Ireland. He replaces Richard Johnson, who has been appointed marketing director for the Deere & Company global tractor platform and will move to the company’s regional headquarters in Mannheim, Germany. Antony joined John Deere in 1975. He has served in positions of increasing responsibility including territory manager, division credit manager, parts and wholegoods manager, division sales manager and, most recently, Region 2 dealer development manager, scale and coverage, based in Mannheim. In his new role Antony Scott will be responsible for directing the sales and marketing as well as the dealer development activities of the UK & Ireland branch at Langar, near Nottingham.